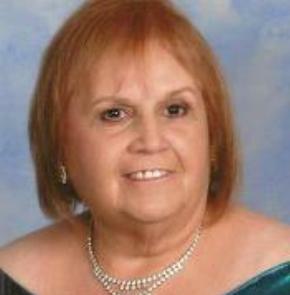 Brunilda Santiago, 73, of Fremont, OH passed away on Monday, January 1, 2018 at Stein Hospice in Sandusky. She was born on November 30, 1944 in Puerto Rico to Jesus and Margarita (Arias) Santiago. Brunilda worked as an operator at H.J. Heinz Company for twenty-four years and retired on November 1, 2003. She was a member of St. Joseph Catholic Church and enjoyed playing pool and spending time with her grandchildren and great grandchildren. Brunilda is survived by her children, Lisa (Robert) Severs, Fremont, OH, Rick Wammes and Tina Kramer, both of Clyde, OH, siblings, Anna Middleton and Philip Santiago, both of Fremont, OH; five grandchildren and five great grandchildren. She was preceded in death by her parents; siblings, Charles Santiago, Rosa Roca; son-in-law, Bryan Kramer. A graveside service will take place on Saturday, April 28, 2018, 11:00 a.m. at St. Joseph Cemetery, Fremont, OH. So sad so sorry for your loss. Bernie was so sweet. Thoughts and prayers for the family. She’ll be missed so much. Cannot believe she is gone. Sorry for your loss. Was so sorry to hear the news of Brunilda’s passing. I went to school with her back in the day and always enjoyed running into her at the stores in town. Her contagious laughter was a joy to hear. .She loved her children and grandchildren and spoke lovingly of them. The last I saw her was at the fair, we talked of what was going on in our lives and her enjoying her retirement! Dearest family of Bernie; may all those wonderful memories you have of Bernie keep you strong during this time of sadness. I will remember her happy smile; even on days she was down that smile would be there. Bernie will be missed I am sure by many. Lisa, Tina, Rick, Anna, and Phillip prayers and thoughts are with you today, tomorrow and always. So sorry to hear of Bernie’s passing. We were childhood friends. Prayers to her family. May she rest in piece and the Lord watch over her. I will remember the fun times. So sorry to hear of your mom’s passing. Fond memories of her growing up. I remember her great laugh and smile.